Is there a better alternative to RhapsoMe? Is RhapsoMe really the best app in Audio category? Will RhapsoMe work good on macOS 10.13.4? 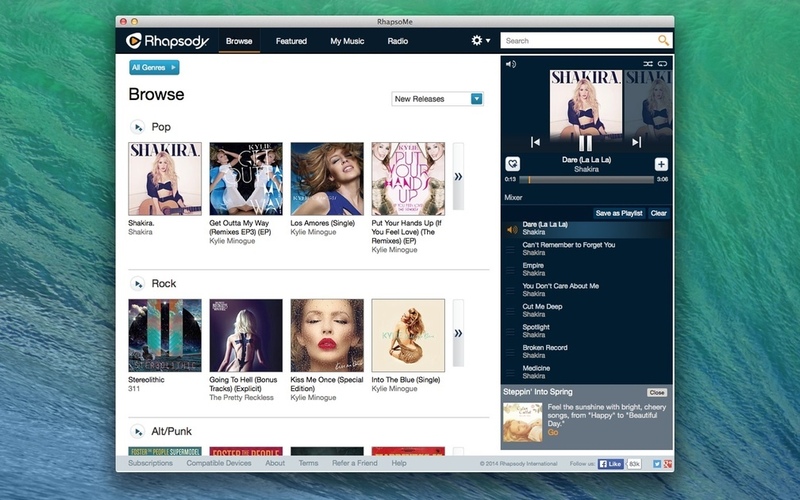 With RhapsoMe you can enjoy your Rhapsody subscription without the need of a dedicated browser opened. It resides in the menu bar. It lets you access the Rhapsody music player in a simple and effective way. While you listen to your music the application waits in the background for your input. You can Play, Pause, Skip tracks from the status menu.